Systematic Withdrawal Plan allows you to withdraw a certain amount of money at a regular interval from your lump sum investment. Use the calculator below to know how much you would have gained if you had started your SWP a couple of years ago. Systematic Withdrawal Plan (SWP) is a facility offered by mutual funds through which an investor can withdraw a pre-determined amount at pre-decided intervals from his/ her investments in select mutual fund schemes. SWP in mutual fund helps in creating a regular source of income to retirees or supplementary income for those with specific needs – like meeting child’s education, regular cash flows to elderly parents etc. 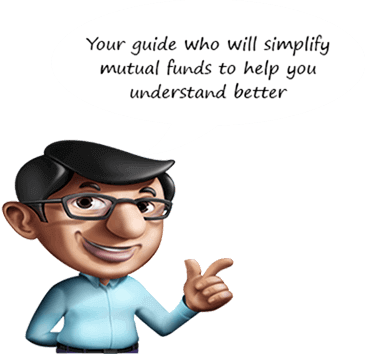 How can you opt for SWP in Mutual Funds? In order to start a Mutual Fund SWP with SBI Mutual Fund, you need to invest in one of SBI Mutual Fund open-ended scheme. Post investment, you as an investor can start availing the SWP facility as per your requirement. By taking the mutual fund route for regular cash flows through SWP, you get the benefit of Timely Cash Flows along with possible Capital Appreciation on the residual investment. Just like in case of SIP (Systematic Investment Plan), the Rupee-cost averaging also works in favor of the investor while opting for SWP. As the investor, would end up redeeming lesser number of mutual fund units to meet the required cash flows in a favorable market condition. Disclaimer: Past performance may or may not be sustained in future. Exit load has not been taken into calculation. The above calculator is just for illustration purpose and one should consult his/her financial advisor before making any investment. SWP option for monthly and quarterly are shown but weekly, half yearly and annually options are also available. If dates selected falls on holiday, then calculation is done based on the next working day. Investments made in mutual fund schemes carry high risk and there is no assurance or guarantee that the objective of the schemes will be achieved. The above illustration / calculation should not be considered as any guarantee of returns to the investors / who are opting for SWP. In view of the individual circumstances and risk profile, each investor is advised to consult their investment/tax advisor(s) before making a decision to invest. In the above calculations, it has been assumed that investor falls under highest tax bracket (i.e. 30%) and total income of the investor does not exceed Rs. 1 crore. Gains on the redemption of units of mutual fund are treated as capital gains for income tax purpose. For equity-oriented schemes, gains on the investment for <=1 year are treated as Short-Term Capital Gains (STCG) and taxed at 15% and 30% in case of debt oriented schemes. Gains on investment greater than 1 year are treated as Long-Term Capital Gains (LTCG) for equity oriented s	chemes and are exempt as per current tax regulations and greater 3 years in case of Debt Oriented schemes is taxed at 20% plus additional taxes post indexation. Calculations of tax include the amount of tax plus surcharge. At the time of the redemption of units, redemption amount comprises two parts. One is the invested amount and the other is gains on the invested amount. STCG/LTCG tax is applicable only on the gains made on the redemption units. In case of Systematic Withdrawal Plan (SWP), at the time of redemption of each instalment, investor needs to pay STCG/LTCG tax only on the gains part and not on the invested amount. Over a period of time with market appreciation, in each SWP instalment, invested amount (principal) component decreases and growth/gains part increases. Thus it helps the investor over a period of time to consume less principal amount and thereby allowing the balance principal amount to grow further. Mutual Fund investments are subject to market risks, read all scheme relate	d documents carefully. Please note that in the Union Budget 2018, it has been proposed to introduce Long Term Capital Gains (LTCG) on equity oriented mutual fund schemes. LTCG from sale of equity shares and equity mutual fund schemes are proposed to be taxed at 10%, if an individual’s total capital gains cross Rs1 lakh. Currently, there is no LTCG tax if one holds the equity mutual fund units for more than a year. The Union Budget 2018 has proposed that all gains up to January 31, 2018 will be grandfathered. Only the Gains that would arise after January 31, 2018 would be considered. Education Cess is also proposed to change to 4%. Also, Exemption interest income on fixed deposits with banks has been proposed to be increased from Rs10,000/- to Rs50,000/- for Senior Citizens and TDS shall not be required to be deducted on such income, under section 194A. These changes have not been taken into consideration in the above illustration. The proposed changes could lead to increase in tax liabili	ty of investor for withdrawal made through SWP. Investors are requested to consult their tax / financial advisor before taking decision of investment / opting for Bandhan SWP facility. No SWP Data available to calculate.